We’re going to call this species the ‘King of the Native Trees’. Its stature alone merits the designation. They can grow up to 75 feet in height and attain a massive girth — up to 15 feet in diameter! 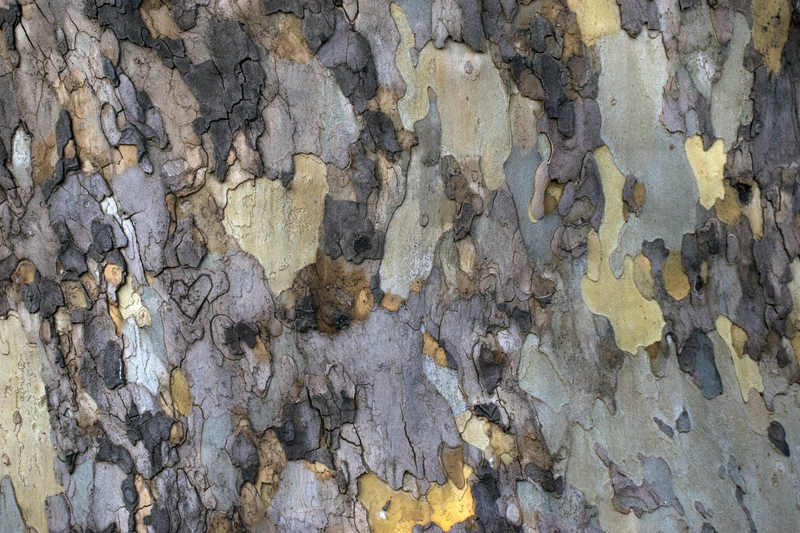 Add to that it’s mottled bark and stark white upper branches that light up the winter landscape, and you’d be hard pressed to find a more visually impressive native tree. Its leaves are a soft, woolly, light green and it bears an interesting fruiting seed ball. The fruit ball disintegrates easily, so there are no worries about raking them up. American Sycamore was named by the early European settlers because the foliage resembled the sycamore of the British Isles (Acer pseudoplatanus). Young trees transplant easily and grow quickly. They prefer full sun in a moist site, and are deer and pollution tolerant. This tree is listed by the State of Maine as a species of special concern-possibly extirpated. Sycamore is great for wet areas and can tolerate weeks of flooding. It is a natural colonizer of disturbed areas. Use it on degraded stream banks and to reclaim disturbed land. They transplant easily. It is susceptible to Sycamore Anthracnose. This can be unsightly but trees seem to be able to tolerate the stress year after year and continue growing to their full size potential. 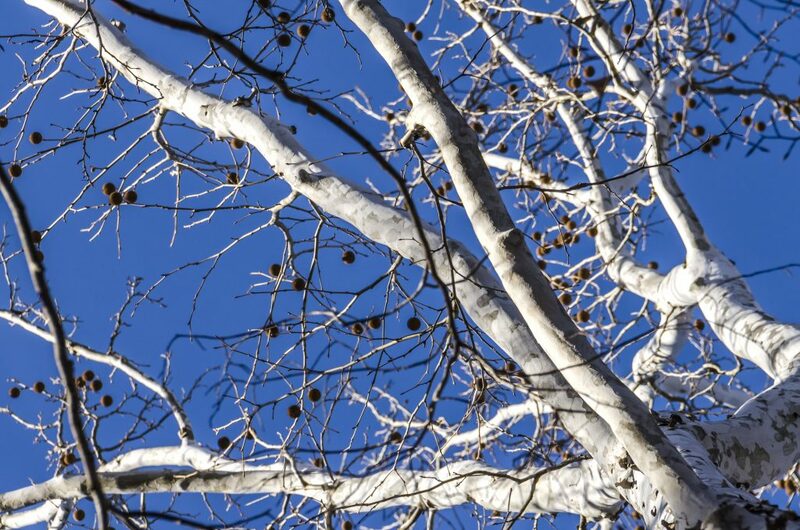 Numerous wildlife species eat the American Sycamore seed heads. The endangered Cerulean Warbler prefers to prefer to perch and sing from Sycamore branches. Other creatures live inside hollow trees such as Pileated Woodpeckers, Barred Owls, Great Crested Flycatchers, Chimney Swifts, and Raccoons. It is the larval host plant for the white marked Tussock Moth. Native Americans used sycamore for a variety of medicinal purposes and hollowed out trunk sections for dug-out canoes. Our sycamore trees are in containers, about 3 feet tall, and easily transported and planted. Stop in today to take a look! Edge of the Woods delivers on all counts! Their conscientious use of native plants, prompt installation and excellent follow-up have pleased us time and time again. Sue, Louise and their staff are the best!